We are the only Volleyball Canada accredited club in the Greater Toronto Region (GTA). We are the top rated club in the Ontario Volleyball Association since 2014. We are partially funded by the Ontario Trillium Foundation. We are an official Volleyball Canada Excellence Program partner. Pakmen's record is built on developing the technical volleyball skills of each of our athletes so they can be successful in competitions and reach their potential in this sport. 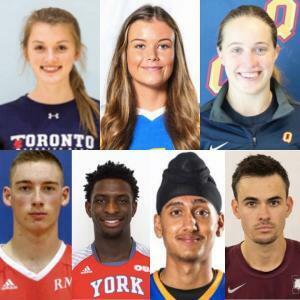 No club in Canada has more athletes playing and excelling in the OUA, OCAA, Youth National Team, Junior National Team, National Team, and professional teams throughout the world. Pakmen Volleyball is a youth volleyball club offering volleyball programs including volleyball lessons, volleyball leagues, volleyball training, house league volleyball, volleyball camps and rep volleyball teams. The club serves boys and girls, 6 to 18 years, of all skill levels in Mississauga, Milton, Oakville, Etobicoke and Brampton. Pakmen started in 2003, with one boys volleyball team in Mississauga. It has grown every year since and we began offering programs in Milton in 2014 and Brampton in 2015. We now offer the largest house league program in Canada, and the top rep volleyball program in Canada. 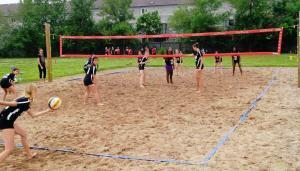 We also have to top beach volleyball training program in Canada. Below, please find some of the highlights our volleyball club has enjoyed in the past 5 years. Pakmen becomes Canada’s first accredited volleyball club. Pakmen Volleyball Club was the first club in Canada to be selected for the Coach Wage Subsidy Grant to hire a full-time head coach. Pakmen partners with Volleyball Canada to run the VC Centre of Excellence program in Mississauga. 5 Pakmen athletes qualified represented Canada in the FIVB World Championships for beach volleyball in 3 different ages categories. Pakmen Standouts Sharone Vernon-Evans and Parvir Jhajj finish 4th in the world at FIVB World Championships in Acapulco, Mexico. Pakmen legend Terrel Bramwell breaks OCAA all-time points and kill records. Pakmen Alumni Nathan Murdock named to Jamaican National Team. Pakmen Alumni Brandon Koppers named to Canadian Jr. National Team. Pakmen sets OVA record by winning Provincial Cup in every boys age category. Pakmen Wins Ontario Championships for U13 Boys, U16 Boys and U17 Boys. Pakmen Wins U16 Boys Canadian National Championships. Pakmen Dominates Beach Youth Tour winning Boys U13, U14, U15 & U16 Beach Volleyball Provincial Championships. Pakmen Wins Gold at U15 Girls & U18 Boys Beach Volleyball National Championships. Pakmen remains the only accredited volleyball club in the GTA. Every Pakmen Boys team in the OVA won a medal at Provincials. Ms. Pakmen U16 win U16 Gold and U17 Gold at Provincials. Pakmen U16 Boys win U16 Gold at Provincials. Pakmen U17 Boys win U17 and U18 Gold at Provincials (OVA Record). Pakmen 18U win 2 prestigious USA tournaments. Sharone Vernon- Evans represents Canada on the U18 all-star team at the USA High Performance Championships in Des Moines, Iowa.